The health insurer’s profits compare to after-tax losses of €3.1 million in 2010 and €41.7 million in 2009. HEALTH INSURER VHI has announced a profit for the twelve months to December 2011, returning to profit after a number of years of lossmaking. The insurer recorded a surplus after tax of €7.4 million, compared to losses of €3.1 million for 2010 and €41.7 million in 2009. The insurer took in a total of €1.314 billion in premiums in 2011, down by 1.6 per cent in 2010 despite a general increase in the cost of policies. €1.234 billion of claims were incurred, down by 5.6 per cent on 2010. VHI attributed the reduction to agreed reductions on rates paid to private hospitals and consultants, where costs were cut by 6 and 15 per cent respectively. The insurer said this lunchtime that of ever €100 received in premiums last year, €90.80 was spent on claims – down from €95.10 in 2010. Other operating costs had declined to €88.4 million, or 6.3 per cent of its income, a figure VHI said was more competitive than those of its rivals. VHI chief executive Declan Moran said business decisions taken in 2011 were “absolutely necessary” to ensure that the company could continue meeting the needs of its 1.2 million customers. “In 2011 both our membership and that of the market as a whole contracted due to the continued economic challenges that people are facing,” he said. Chairman Bernard Collins said changes to the health levy and age credit system were “a significant step in the right direction”, and imperative as the government pursued plans for universal health insurance. 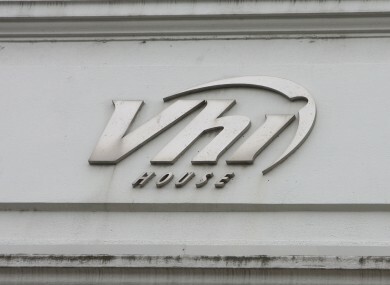 Email “VHI reports annual after-tax profit of €7.4 million”. Feedback on “VHI reports annual after-tax profit of €7.4 million”.